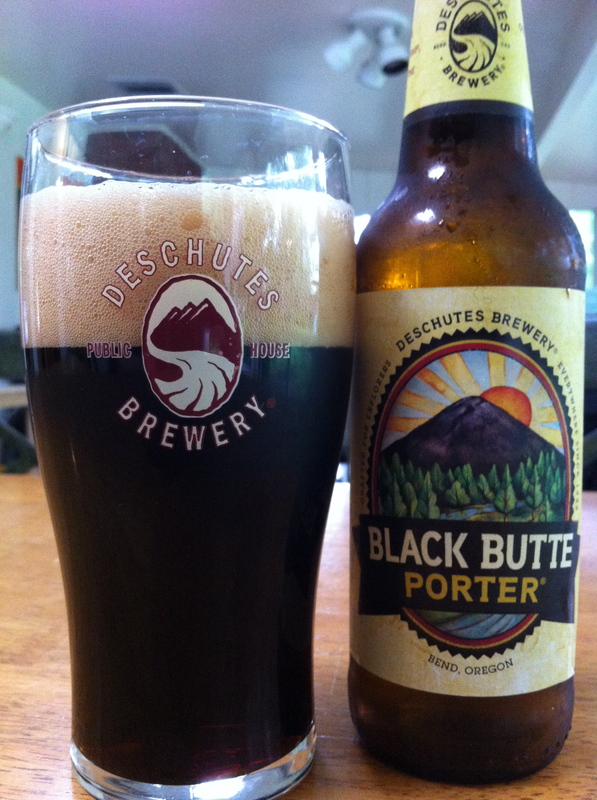 BLACK BUTTE POTER is an American Porter from Deschutes Brewing. It is available year-round and has a 5.2% ABV with 30 IBUs. The beer pours a deep brown with maroon highlights along the edge of the glass. If it weren’t for these highlights I would think this beer was black. A hearty two inches of cola-colored foam floats atop the beer for a good while and leaves a touch of lacing as it goes. Roasted barley dominates the nose. Touches of baker’s chocolate, cocoa powder, and a spring water-like crispness were also picked up. That roasted barley flavor starts thing’s off in the taste of this beer. Dark chocolate melds with this to add some much-needed sugary-ness. The spring water crispness reappears here and lingers for the duration of each sip. It finishes with a mild bitter/baker’s chocolate flavor and some dark fruit sweetness (raisins, prunes). It had been a while since I’d had a glass of Black Butte and I had forgotten how thin/light the body of this beer is. Carbonation bubbles that were visibly hidden by the opaque hue of this liquid. The slight drying that occurs at the end of each sip reminds you that this is a porter and not a stout. Black Butte is one of Deschutes’ signature beers and for good reason. It’s dark without being thick. It’s flavorful without being over powering. A beer that walks the like between styles and is worthy of the praise.